If we can do this - YOU can do this! The Gun Runners survived the Nevada desert and are here to give you the scoop on how it went. Welcome to the Fat2fit HQ podcast! I am your host, Carol Salva, of the Firearms Radio Network. In this podcast, we are chronicling our journeys from Fat 2 Fit. We talk about pursuing a healthier lifestyle, not only in diet but in all areas of life. Well… sort of. We have not been chronicling the journey much lately but we are still trying to do healthy things as we are able. This show is a great example of that. This is a recap of a mud run that we did earlier this year with our Firearms Radio Network team "The Gun Runners." None of us are ultra athletes or super trained for endurance sports. Instead, we are a group of like-minded individuals who came together from far and wide to help each other complete one of the toughest events on the planet. We took ALL DAY LONG to complete the 10 mile obstacle course. But we also laughed and laughed and laughed all day long. It was awesome. Listen in this week to get an idea of what a team run/walk can do for you. It was very tough but also very inspirational. Many thanks to the amazing folks who joined together that day. 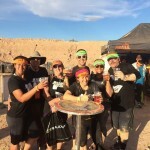 Firearms Radio Network Leaders took on the Tough Mudder Chicago and survived to tell about it. Think you can't do a 10 mile, military style obstacle course challenge? Think again. We did it and you can too. Listen in to hear how the day went and how you can join us next time. Welcome to the Fat2fit HQ podcast! 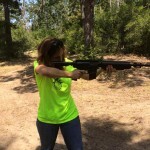 I am your host, Carol Salva, of the Firearms Radio Network. In this podcast, we are chronicling our journeys from Fat 2 Fit. We talk about pursuing a healthier lifestyle, not only in diet but in all areas of life. Get your own team together or contact carol@fat2fithq.com if you'd like to join the Gunrunners! We'd love to have you. There are challenges going on right now. Join one or suggest one! At at a loss about fat loss? Obstacle run training? How to raise super human kids?? Listen in this week as Ben Greenfield joins us. Ben is one of the most influential people in health and fitness for a reason. This interview is jam packed with sound advice on how we can turbo charge our results. Ben's website claims that he wants to make healthy living inspiring, entertaining and educational. Now doesn't THAT sound familiar? Welcome to the Fat2fit HQ podcast! I am your host, Carol Salva, of the Firearms Radio Network. In this podcast, we are chronicling our journeys from Fat 2 Fit. We talk about pursuing a healthier lifestyle, not only in diet but in all areas of life. About Ben: Author of the New York Times Bestseller “Beyond Training“, Ben Greenfield’s balanced approach to fitness, nutrition and health comes from his extensive experience in the fitness and wellness industry as one of the country’s leading personal trainers and wellness consultants. In 2008, Ben was nominated by the NSCA as America’s top personal trainer, and in 2013 and 2014, Ben was voted as one of the top 100 most influential individuals in health and fitness. Jessie Beard, thank you for the review! Want a great stress reliever? Want your kiddos off the screens? Take them out to play in the mud! Listen in to hear what a great time we had doing the Gritty Goddess last year and how we are all ready to do it again. Join us or find your own way to put some play in your life. Welcome to the Fat2fit HQ podcast! We have some awesome ladies and our kids this week! In this podcast, we are chronicling our journeys from Fat 2 Fit. We talk about pursuing a healthier lifestyle, not only in diet but in all areas of life. Special thanks to Caroline Miner, Perlita Robles, Ariel Robles, Anthony, Nicholas and Angelica Salva. Consider doing a fun obstacle run like this one! There will be another one in the fall. We'd love to hear about the one you are doing or try to make plans to join our team! Come on over to our chat board and check in when you can. You’ll find inspiration there and just checking in might give you that little bit of accountability that will make a difference. No eating or exercising rules, we just want to tell folks what we are doing or just say hi and maybe read about how others are doing it. Being around like-minded folks DOES make a difference. Join us! Please click through our Amazon link when you shop on Amazon. Do you want to completely reset your preferences and maybe even lose the need for willpower? We suggest you try a Whole30. The first 10 days were rough but we are all super pleased with the results. Welcome to the Fat2fit HQ podcast! I am your guest, TJ Gothier and here with me are Caroline Miner, JT and Carol Salva. In this podcast, we are chronicling our journeys from Fat 2 Fit. We talk about pursuing a healthier lifestyle, not only in diet but in all areas of life. What is the right way to get healthy? The way that works for YOU. Jennifer Young is here to remind us that we need not get bogged down in the latest research. Maybe we just need to do a few basic things that we can live with and maybe we just need to draw on a community to stay motivated until we see results. And Jennifer is seeing GREAT results! Welcome to the Fat2fit HQ podcast! I am Jennifer Young of Girls Like Guns Too and along with me is Carol Salva of the Firearms Radio Network. In this podcast, we are chronicling our journeys from Fat 2 Fit. We talk about pursuing a healthier lifestyle, not only in diet but in all areas of life. You’ll find inspiration there and just checking in might give you that little bit of accountability that will make a difference. No eating or exercising rules, we just want to tell folks what we are doing or just say Hi and maybe read about how others are doing it. Being around like-minded folks DOES make a difference. Join us! These folks showed up all 31 days of December to check in to our myfitnesspal community. Congratulations to Kim, Kevin, Heron, Arturo and Hammer Jammer/John for your consistency and thanks for the great interaction you brought to the group. Listen in to hear what the challenge did for them and some of what they have learned in their journey to health. Kudos to ALL of our members who came around often or at all. It was great to have an active group so that each of us could draw on the Fat2Fit HQ Community during that very tempting time of year! Welcome to the Fat2fit HQ podcast! I am your guest, Kim and here with me are Kevin, Heron, Arturo, John and Carol of the Fat2Fit HQ Myfitnesspal community. 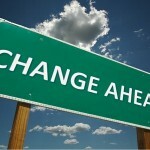 In this podcast, we are chronicalling our journeys from Fat 2 Fit. We talk about pursuing a healthier lifestyle, not only in diet but in all areas of life. This week, Jef Fry of Health Nuts Anonymous guest hosts for us and he interviews two of our own! Listen to Heron and Arturo, a couple who are having success following Jef's advice as they continue to follow the Carb Nite Solution protocol. Could this be a way of eating for you? Welcome to the Fat2fithHQ podcast! I'm your host, Carol Salva, of the Firearms Radio Network. In this podcast, we are chronicling our journeys from Fat 2 Fit. We talk about pursuing a healthier lifestyle, not only in diet but in all areas of life. Thank you Heron and Arturo for sharing your stories with us! Thank you Jef Fry of www.healthnutsanonymous.com! We heard from Vinnie Tortorich and he made it very clear: No Sugar, No Grains. It's that simple. Doesn't have to be forever or all the time. So do we agree? How does this fit with other things we have learned? JT and Carol chat it up in a show we did just to debrief. Welcome to the Fat2fithHQ podcast! We are your hosts, Carol and JT of the Firearms Radio Network. In this podcast, we are chronicling our journeys from Fat 2 Fit. We talk about pursuing a healthier lifestyle, not only in diet but in all areas of life. 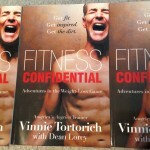 Personal trainer to the stars… the World’s Angriest Trainer... Vinnie Tortorich is with us this week! Listen to hear why he's loved by Vegans and Paleo folks alike. You'll be amazed by the simplicity of his NSNG way of life. You'll also get a good bit of gun talk in this episode. Gotta love Vinnie! Welcome to the Fat2fithHQ podcast! 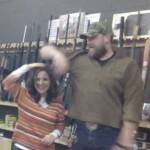 We are your hosts, Carol and JT of the Firearms Radio Network. In this podcast, we are chronicling our journeys from Fat 2 Fit. We talk about pursuing a healthier lifestyle, not only in diet but in all areas of life. It isn't too late! Just join in for the rest of December! Do you have a plan for your road to fitness? It isn't that easy with all the diet, workout and nutrition advice out there. 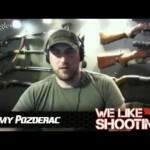 Join us this week as we talk with Nick Humphries of the Practically Tactical podcast. Nick creates a plan which is Step 1! Maybe we can help with Step 2… sticking with it! Welcome to the Fat2Fit HQ podcast. I’m your host Carol Salva of the Firearms Radio Network. 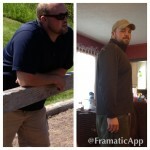 In this podcast we are chronicling our journeys from Fat to Fit. We talk about pursuing a healthier lifestyle, not only in diet but in all areas of life. This works best from your browser (MFP app=no bueno). Go to the group page and look around. More rules and info will be posted there.